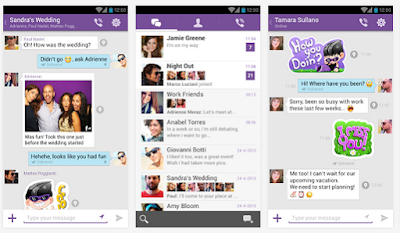 Viber, which was originally called Viber - Free Phone Calls, is an application which is similar to Skype. With it, you can send text messages and make phone calls for free, so long as you have an Internet connection. Thanks to Viber, you can share text messages, photographs, messages with videos or voice, locations, emoticons, and tags. In fact, within the app, you can find a sticker store where you can find new tags to buy and use in conversations.